In addition to noting that the book cover is still in a very “not final” stage, I should also mention that what you see in the photo is almost entirely blank inside. I needed to produce a test print to get a sense for the physical size of the book and to get a few photos, which is what you see here. The covers are generally finalized, but I’m still not entirely sold on the title design (coloring, font, size, etc.). We’ll see about that as I move forward. Both cover art designs will be offered up as smartphone wallpapers and posters during the Kickstarter campaign. … a lot! As a really rough estimate, I’d say that about 30% of the book is written so far, and that’s assuming I don’t add any more content to it. Anime and manga reviews (including relevant trivia) are definitely in, as is information on the Youma (their names and design inspirations), and most likely information on the Dark Kingdom. I’m still waffling on whether to include profiles for the “cast of characters” (e.g., the Sailor Senshi, supporting cast, etc.). Assuming I don’t add anything more, the book should be about 250~280 pages long. The Kickstarter campaign is set to launch on Tuesday, May 29th and run until Friday, June 29th (EST). As an added bonus for ending on that date, that gives us a chance to focus on doing something interesting for Usagi and ChibiUsa’s birthday. They may be warriors of love and justice, but no one should have to work on their birthday. As I mentioned previously, those who pledge to the Kickstarter in the first 24 hours will be eligible for a 20% discount off the paperback and hardcover editions. To make sure you get first dibs on this opportunity, and to keep up to date on the book and other news from Tuxedo Unmasked, be sure to sign up for the mailing list! Maybe I should wear a fake mustache too…? 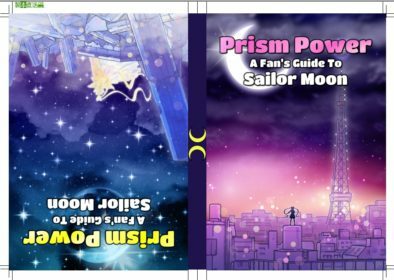 Since I’m never satisfied with being only “a little busy,” I’ve started work on some other Sailor Moon-related side projects I’ve wanted to do for awhile. I can’t make any firm announcements yet, but we can at least talk about them! I know I’ve talked about it before, but I absolutely love all of the Sailor Moon video games. Even the bad ones. Especially the bad ones. In pursuit of my goal to play every single Sailor Moon game out there, including the bizarre “Sailor Moon Teaches Preschool Manners” one, I figured I might as well do so live and on the internet. I’m still working out the kinks right now, but the official live stream will hopefully be up soon. 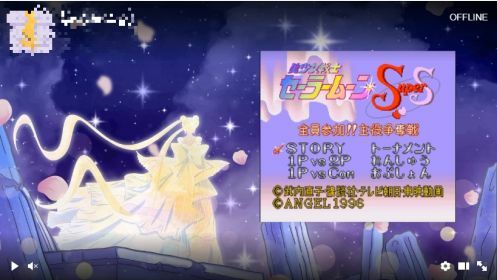 Once I get it working reliably, I also want to look into doing a full play through of Sailor Moon: Another Story, where I discuss some of the translation oddities of the English fan translation, and other trivia about the game. 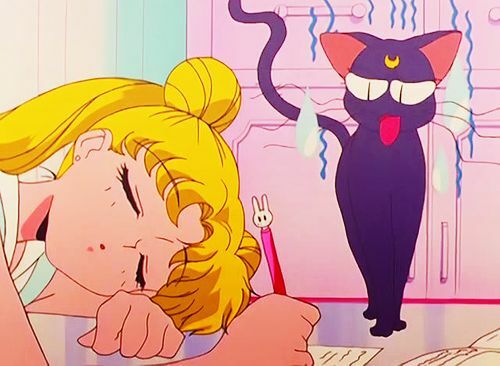 In the next few weeks, I’ll be teaming up with the talented Lorien’s Craft Box YouTube channel to make some Sailor Moon crafts, and to show to the world that I have no creative skills whatsoever. Stay on the lookout for this upcoming train wreck! Maybe I can fit some time for sleep somewhere in there? That’s about all I have to announce for now, but things will probably be picking up speed over the next month or two as I finalize details of other projects and can finally announce those as well. Of course, the Tuxedo Unmasked blog is still at the forefront of my goals right now and into the foreseeable future, so no need to worry about the articles here getting put on the back burner. I love researching this stuff far too much to not keep up writing here. If there’s anything that you’d like to see, or any questions you have about what I’ve written about today, let me know down below and I’d be more than happy to answer. 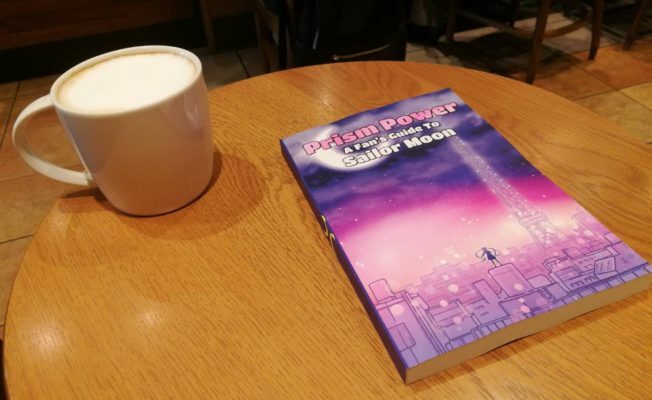 I love having the opportunity to hear from and interact with other Sailor Moon fans, so keep the comments coming! 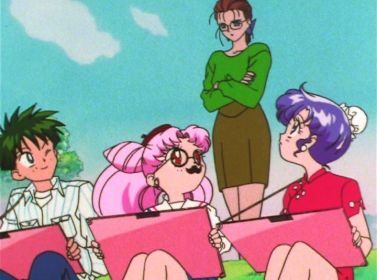 ← How Were Ail, An, and the Makaiju Seen as Sailor Moon Villains? First, I´d like to compliment the book covers, they´re beautiful! Since no artist was mentioned, I assume you made them yourself? The covers were done by the amazingly talented Riccardo Bacci (@bacciriccardo on Twitter). Not only is his art stunning, but he was amazing to work with when I commissioned the images. The crafts will definitely be interesting! The covers for the book look beautiful, but yes, the fonts do need some work. I love the Twitch idea. I’ve already seen gameplay for most of the games, but with you talking and giving us trivia and more clear translations sounds perfect. I really appreciate the feedback! I’ll probably want to reach out to an actual cover designer and see what they can do to get these covers looking right. As for the Twitch streaming, hopefully it’ll be interesting for people to watch! I’m not sure how exciting of a person I am to listen to, but it’ll at least be a fun thing to try out! This sounds very exciting ! DO you knowif the video games-related articles will also be published in the book? The video games are another beast I’d love to tackle, but I feel like that would need to be its own separate book. The question is whether there’s enough content to justify a book. o_O There might be, if you drag in a lot of the really weird, obscure ones (the arcade, the Pico drive games, etc. ).